Peter Dyck passed into the loving arms of Jesus on Easter Sunday, April 8th, 2012 at the age of 66 years old. Peter was a dear husband, father, grandfather, godfather, son, brother, uncle, and friend to all. He was born in Carrot River, SK on November 9th, 1945 to Abram and Elizabeth (Wiens) Dyck. He had 4 brothers and 3 sisters. From the age of 6 years old, Peter lived and was raised in Clarkly, MB. By all accounts he was a wonderfully mischievous boy with lots of energy! Peter and Loretta 'Judy' Cox were married on June 25th, 1966 in Carman, MB and they shared their life for 45 precious years. As adults, Pete and Judy were very involved in their churches; the Roseisle Mennonite Church and currently the Carman Mennonite Church. Pete publicly acknowledged his faith in Jesus Christ and lived it out through his words and his actions. Pete is survived by his loving wife, Loretta 'Judy'; adoring daughters, Theresa, Lisa, and Nerissa; son-in-laws, Aaron, Murray, and Todd; grandchildren, Cody (Alison), Carlene, Austin - Bradley, Nathan - Cole, Jordan, and Selah; siblings, Henry, Mary (John), Helen, brother-in-law Jake (Helen). He is predeceased by his parents, Abram and Elizabeth; 3 brothers and 1 sister. 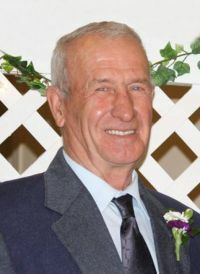 Peter's home going service was held Saturday, April 14th at 1:00 PM at the Friends Community Church in Carman, MB with interment at the Graysville Mennonite Church Cemetery. We would like to say a sincere and loving 'Thank-you' to all of Pete's friends and family that have poured out their kindness and love on our family. Doyles Funeral Chapel in care of arrangements.